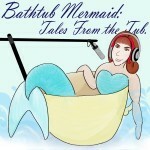 In which The Bathtub Mermaid talks about a writing contest she enters, and the storm she got for her birthday. Round two is the first weekend in October. DDoP #17: Textual Improv by Melissa Bartell is licensed under a Creative Commons Attribution-NonCommercial-ShareAlike 4.0 International License.